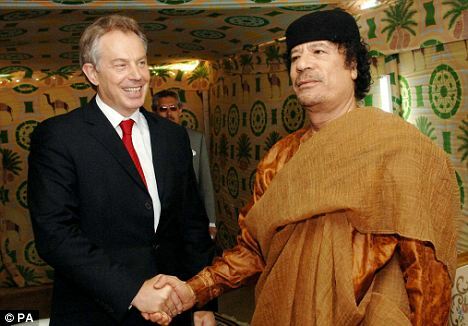 TONY Blair bids a fond farewell to former foe Colonel Gaddafi yesterday. 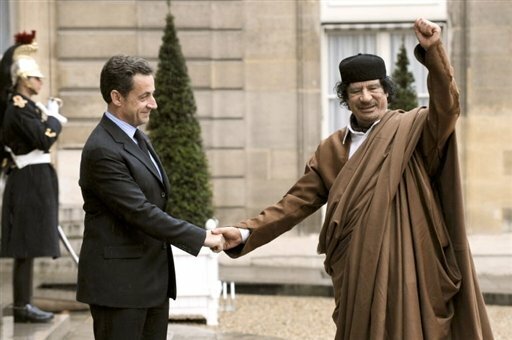 He flew in on the Libyan leader’s private jet for the meeting in the middle of the Sahara desert. international fold, shook hands warmly and smiled. (New York Times) LONDON — Global oil companies said Monday that they were making plans to evacuate employees in Libya after some operations there were disrupted by political unrest. Libya holds the largest crude oil reserves in Africa, and the moves drove some stock prices down and a crucial oil benchmark to a three-year high. The largest and most established foreign energy producer in Libya, Eni of Italy, said in a statement that it had begun repatriating “nonessential personnel” and the families of its employees. The Norwegian energy company Statoil, which operates in Libya in partnership with Repsol of Spain and Total of France, said that it would close its office in Tripoli and that a handful of foreign workers were leaving. “The safety of our personnel is our main priority,” said a spokesman, Bard Glad Pedersen. OMV of Austria, which produces about 34,000 barrels of oil a day in Libya, said it planned to evacuate 11 workers and their families, leaving only essential staff. The Organization of the Petroleum Exporting Countries ranks Libya No.7 among its members, with 4.4 percent of OPEC’s proven crude oil reserves. Libya exports most of its oil to Europe, with Italy its biggest customer, according to the United States Energy Information Administration. Shares in Eni and OMV dropped Monday, while the price of Brent crude, an important benchmark for oil traded in London, jumped $3.22 a barrel, or 3.2 percent, to settle at $105.74, before spiking above $108 in after-hours dealing. It was the highest level since 2008. The British oil company BP, which has only exploration operations in Libya, said it was planning to evacuate some of its 40 foreign workers, mostly from Tripoli, where the unrest spread Sunday. It also said it had suspended preparations for a drilling project because employees of a contractor had been evacuated. 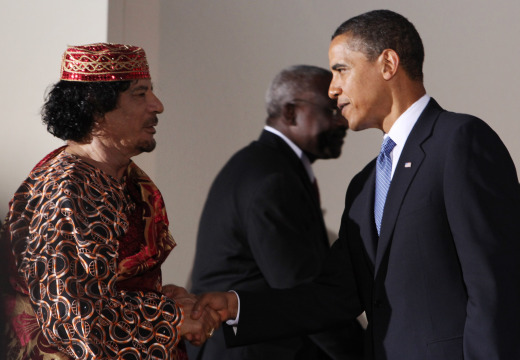 For many years, Libya was shunned by most foreign oil companies because of its anti-American government and ties to terrorist organizations. Eni was an exception, with operations there since 1959 and current major stakes in four fields. Italy had a brief colonial adventure in Libya in the early 20th century, and ever since, the country has been a cornerstone of Italian foreign policy. In recent years, Italian blue-chip companies including Unicredit and Eni have come to rely on infusions of Libyan capital. 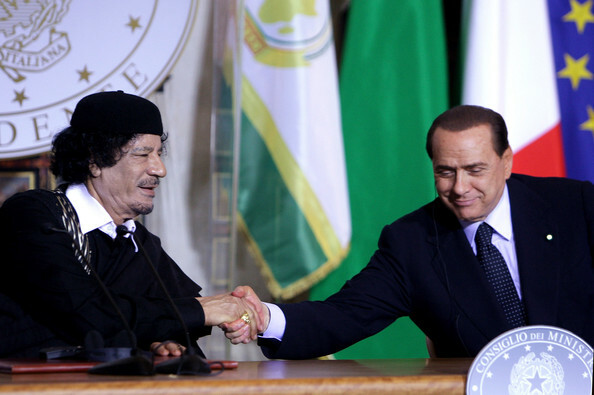 In 2003, when Libya struck a deal with the United States and Britain in which it promised not to develop unconventional weapons, international sanctions against it were lifted, and Eni was joined by other foreign oil companies. Total Libyan production of crude oil and liquids was about 1.8 million barrels a day in 2009, the Energy Information Administration has reported. Oil companies said operations had returned to normal in Egypt, where protests led to the resignation of President Hosni Mubarak on Feb. 11. Statoil and BP said most employees who had left Egypt were back on the job. Julia Werdigier reported from London and Rachel Donadio from Rome.